High-powered executive Steven Kerner has no idea his tightly wound American dream is about to come crashing down. His high-profile, high-octane life has always provided everything he's wanted. Or so he thought. When his unresolved anger threatens his marriage, and his attempts to fix it only drive the one he loves farther away, he is pushed to the brink. An invitation from mystery man Andy Monroe may be the greatest hope Steven's ever been handed. 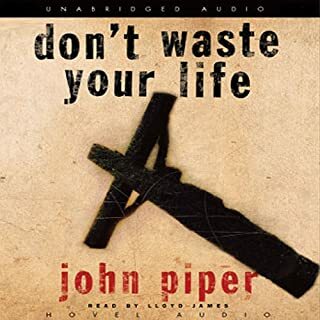 The most amazing book I have ever listened too! 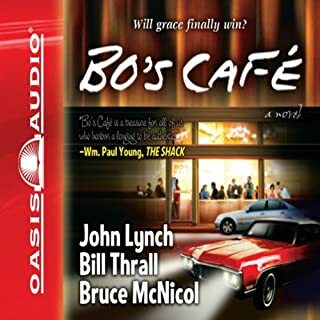 Narrated by: Larry Crabb Ph.D. 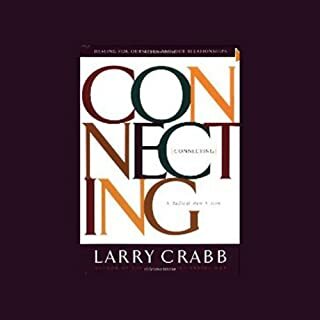 In his most significant book since the immensely successful Inside Out, Dr. Larry Crabb expands on his lifelong work in the field of psychotherapy to adopt a groundbreaking, but biblical, approach to healing the deep wounds of the soul - an approach that centers around building intimate, healing mini-communities in your life and church. It doesn't take too much living before we realize that life never goes quite the way we want it to. But when things get hard and we don't understand what God is doing, what is our first impulse? Is it to resist him and run away like Jonah? Or is it to trust him even while trembling in fear of suffering like Habbakuk? 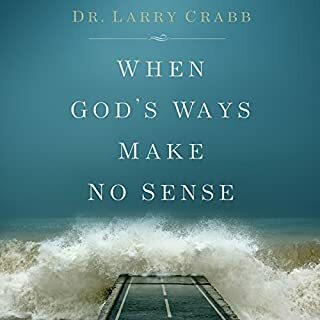 In this powerful exploration of God's often mysterious and counterintuitive ways, Dr. Larry Crabb challenges listeners to seize the opportunities for growth and maturity that come our way when we experience troubles and failures. Great book! It explains the real Gospel! In this Gold Medallion Award-winning classic, Dr. Crabb affirms the power of the Scriptures to address the intricacies and deep needs of the human heart. 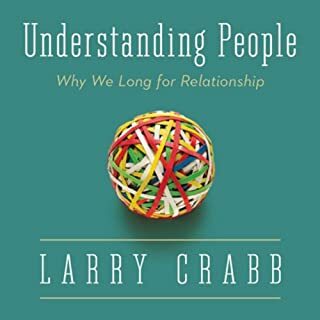 Exploring the inseparable link between spiritual and psychological realities, Understanding People offers a vital lens on how we’re put together - who we really are and what makes us tick in our relationships with other people, with God, and with ourselves. In three parts, this book first points us to the Bible as our source of insight into perplexing heart issues. The Cure: What If God Isn't Who You Think He Is and Neither Are You? The Cure gives the diagnosis of this century's religious obsession with sin-management. It has poisoned the Church, obscuring the Original Good News and sending millions away-wounded, angry and cynical, from nearly any organized expression of faith. The Cure offers an authentic experience in Christ that frees some from a self-rewarded righteousness, and others from a beaten down striving for a righteousness they can never seem to attain. Encouragement is more than a compliment or a pat on the back. It’s a skill that can be mastered by anyone. What must we know in order to fulfill the biblical exhortation to "encourage one another"? Encouragement: The Key to Caring tells you. Part one deals with understanding encouragement, and part two explores the process of encouragement, including practical how-tos. Everywhere we look, we see evidence that love is in short supply. Terrorists and political corruption, school shootings and troubled marriages, impatient online sniping and character assassination - all point to the fact that we do not know how to love one another as Jesus commanded and modeled. We put our own interests and happiness first, despite the fact that the greatest happiness comes through sacrificial love. We all have ideas that we tell ourselves about God and how he works in our lives. Some are true--but many are false. James Bryan Smith believes those thoughts determine not only who we are, but how we live. In fact, Smith declares, the most important thing about a person is what they think about God. The path to spiritual transformation begins here. Men and women are different in many fundamental ways that, if understood and honored, can lead to a deeper enjoyment of one another. 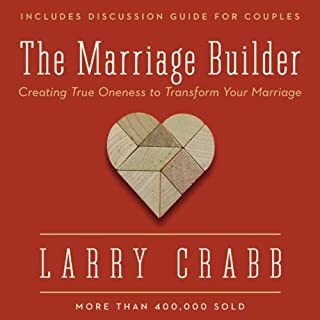 In Men and Women: Enjoying the Difference, Dr. Larry Crabb tackles many important, tricky issues about marriage and relationships. He discusses obstacles to truly good relationships, anger, the different needs of men and women, how to make positive changes, and other questions that face couples in these difficult times. Men today have locked horns with their toughest issue: reclaiming the full potential of manhood. 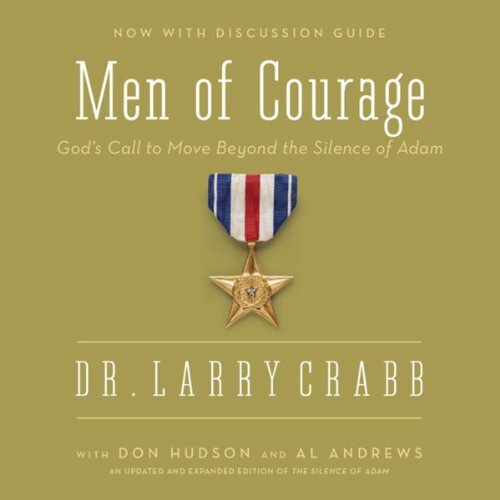 Bestselling author Dr. Larry Crabb asks, "What gives manhood definition and meaning?" In this updated and expanded edition of The Silence of Adam, Crabb and his colleagues, biblical scholar Don Hudson and counselor Al Andrews, offer a fresh look at how God designed men. The book deals thoughtfully and honestly with men's ongoing struggles and exposes the difficulties they have in relationships. It presents the rich calling men have to reveal God in ways uniquely masculine. And it summons them beyond their paralyzing fear of failure to bold risk-taking, courageous action, deep spirituality, and full-hearted living. This new edition includes an epilogue from Dr. Larry Crabb and a study guide suitable for both individuals and groups. Praise God for these men and the wonderful truth they have helped me see. I realized so many things about myself that I had never considered, and I feel so much more encouraged and equipped to trust God stepping out into darkness and the unknown,which is where so much of life is lived. Crabb does a great job in telling us how all men are failing in so many ways. Too bad he doesn't hold out much hope or point to specific ways to succeed in overcoming these failures.. I was challenged by this book. I also learned much about being a man. Most importantly, the author points to Christ. He seeks to make much of Christ. Larry has a unique way of writing. He has blessed my life and through this book the Holy Spirit humbled me. Thank you Larry. A perfect book for the time we are living. The words of encouragement have given me hope that I can make it. And is helping slowly heal a dying marriage.